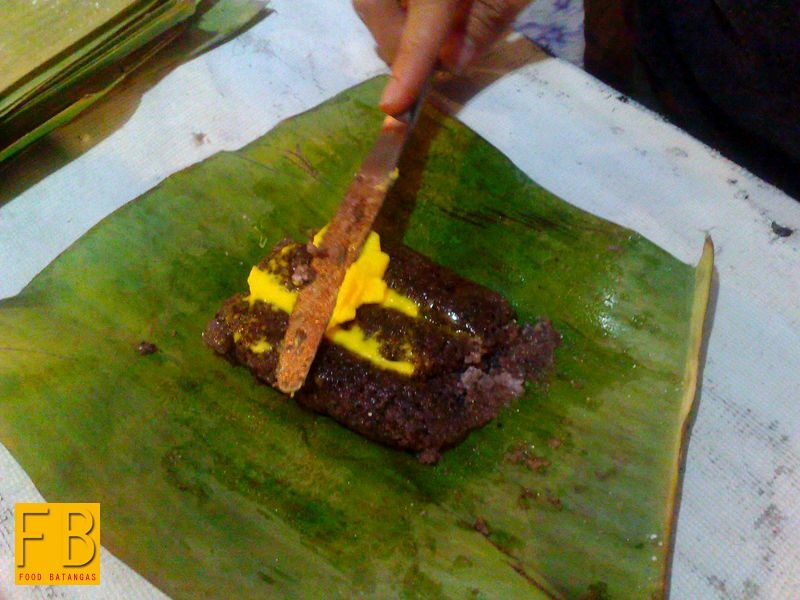 Those among us who thought that the puto bumbong went out of fashion when the fastfood chains invaded the countryside obviously thought wrong. 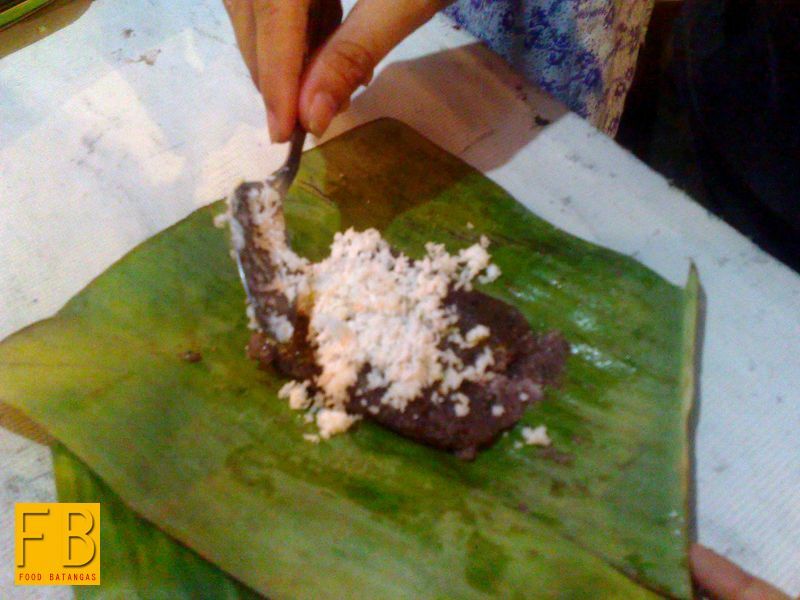 The puto bumbong is indeed very much alive; albeit, there are those who rather tend to associate it with Christmas carols and the simbang gabi or Yuletide early morning Masses. For the benefit of any foreigner who may stumble upon this site, the puto bumbong is a purplish rice cake made from a variety of glutinous or sticky rice called the pirurutong. The bumbongs with the pirurutong inside are then steamed until the cake is cooked; then served with margarine and ground coconut meat. 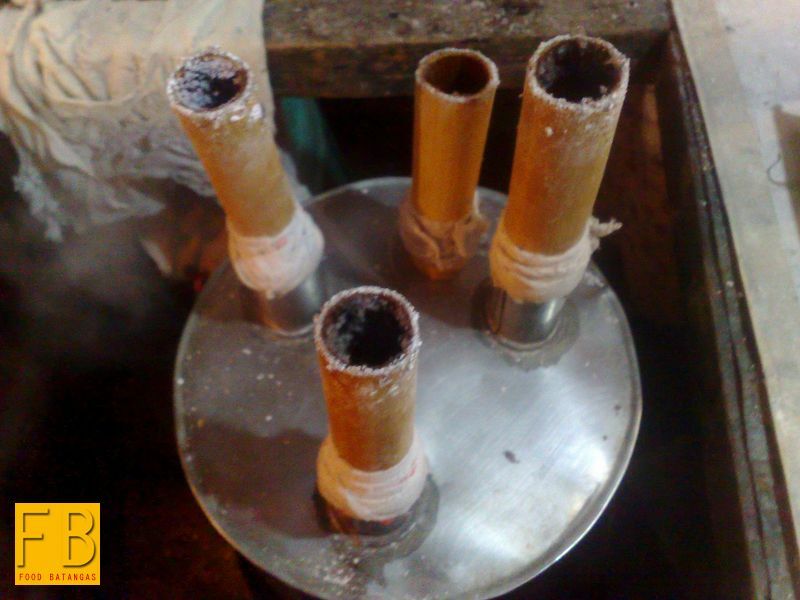 The puto bumbong’s purple color is obtained from the pirurutong itself. The puto bumbong is as ubiquitous as parols – the colourful Filipino Christmas lanterns – during the holiday season; and vendors are practically fixtures outside Catholic churches especially during the simbang gabi. This is not to say, though, that the puto bumbong is available only during the Christmas season. 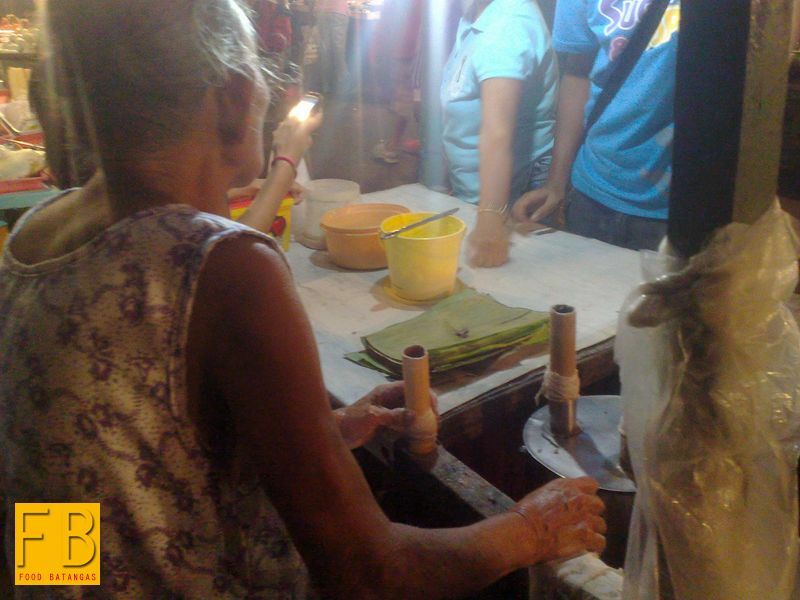 At the Night Market in Lipa City, we met Feliza Ligdao, who has been making the puto bumbong since the seventies. 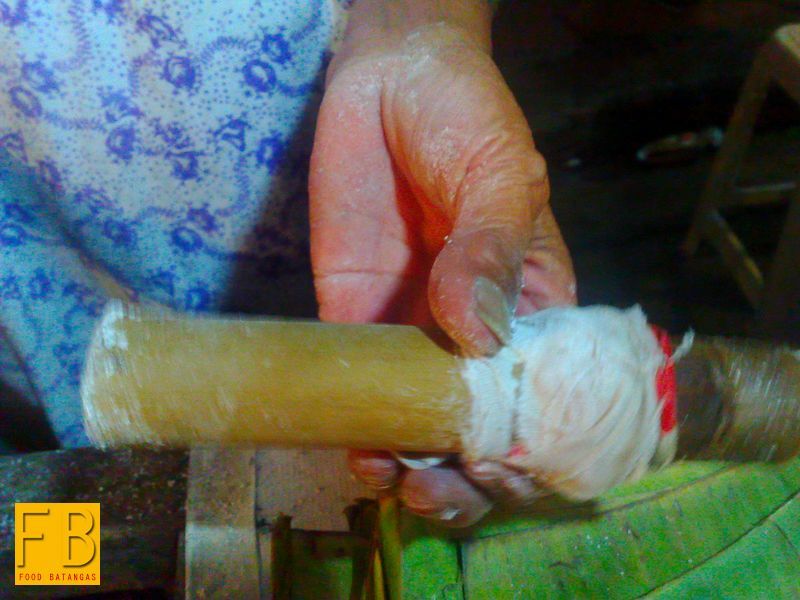 She did not have to take instructions from anybody when learning to make the rice cake, she proudly told us. She learned simply by watching others making it. 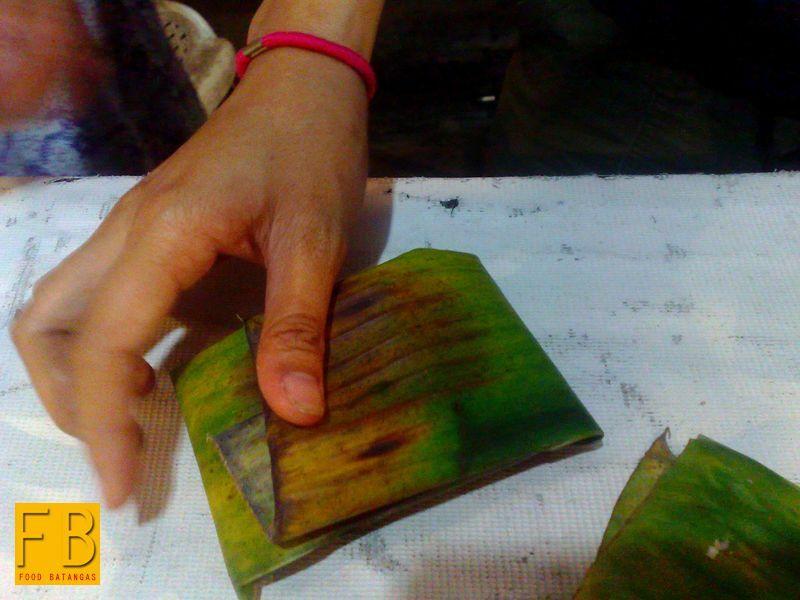 In the old days, she recalled, the puto bumbong went for as little as ten centavos. 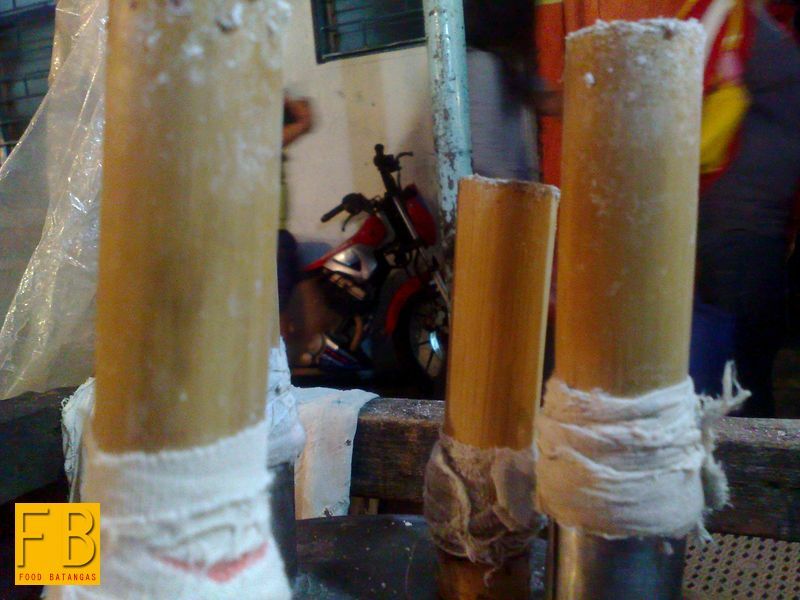 Decades – and multiple instances of inflation – later, she now sells each for 15 pesos. 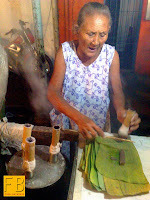 Conscious as she always has been about customer satisfaction and the authenticity of her product, she imports her pirurutong all the way from the province of Isabela. Despite the passing of the years, she has stuck to the age-old tradition of preparing her puto bumbong completely by hand; and serves this to each customer with ground coconut meat and a touch of margarine. 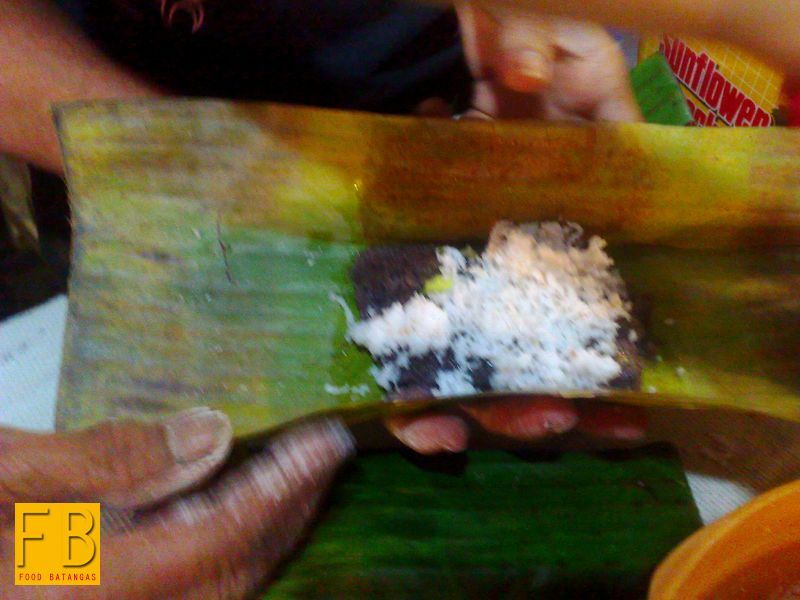 And yes, despite many food vendors yielding to the temptation offered by the ubiquity and convenience of plastic, Ka Feliza continues to serve her puto bumbong – how else – wrapped in strips of banana leaves. She used to sell her rice cakes, she told us, in a spot close to the Cathedral of San Sebastian. Like many other food vendors, she has moved to the Night Market which draws the food-loving crowd each day, anyway. Those who may be interested in her product may reach here through here cellular phone number: 0946-2429807.